The new outstanding and exceptional Jaguar’s XF R has arrived, providing sporting luxury at its best by combining the aggressiveness of a sports car with the luxury of a sedan. With ample amounts of space, this saloon like car offers refined style and performance to buyers. It has come up with an ex-showroom price ranging from Rs. 74,21,090 – 1,03,15,817 . Jaguar Motors India took off the unique release of Jaguar XF R in both convertible and car forms. Jaguar has done something quite remarkable with the XF R’s new engine. The 5.0-litre supercharged V8 manages to lower the CO2 emissions and increase the mileage figure over the old 4.2-litre version it replaces. The rich character of the Jaguar XF R is immediately evident and the model offers the luxury sedan segment with a bold new alternative to the regular traditional offerings. The exclusive exteriors of Jaguar XF R are eye-popping. It took Jaguar months to come up with the design for the XF model and the final product, we must say is worthy of applause. 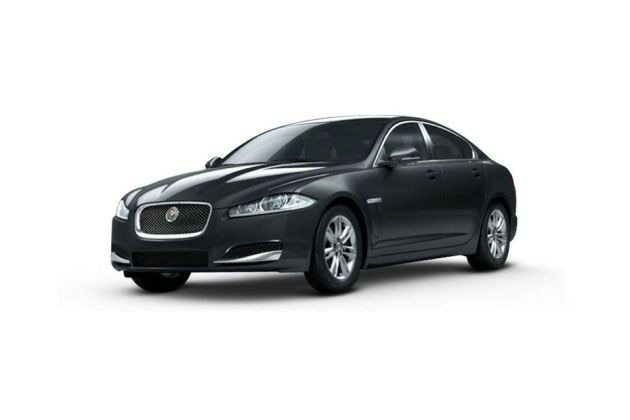 It is said that the design of Jaguar XF has been taken from the Jaguar flagship saloon XJ. The set of headlights installed to the new Jaguar XF are slimmer than the previous version and LED strips can be seen on either sides of the headlight cluster. There are 3 air-dams which are present beneath the headlights that serve as the air outlets so that the engine stays cool throughout the time the car is in motion. Two chrome fins cover the air-dams and these fins have been twisted in a stylish manner. There are a many colours in which the Jaguar XF is available. These are British Racing Green, Polaris White, Rhodium Silver, Stratus Grey, Italian Racing Red, Ultimate Black and Kyanite Blue. The interiors of Jaguar XF R are ravishing, the Servotronics steering wheel has been styled implicitly. A new design has been given to the seats, making them much more comfortable. Each and every component of the interiors displays high level of craftsmanship. The interiors are totally modern but still promise the same old Jaguar feel whenever we sit inside the cabin. These seats can be adjusted as per the convenience of the passenger and have loft arrangements as well. The seats have been covered using soft-grain leather that enhances the level of comfort and style at the same time. The dashboard of the car has been equipped with hallo illumination, electronic parking brake, switch panels and the start-stop button. Jaguar XF is equipped with a powerful sound system which has a network of 14 speakers that are spread throughout the car. Additional features along with the sound system include a six-CD changer, MP3 compatibility and portable audio interface . The saloon has a remarkable boot space of 510 litres altogether. The Jaguar XFR features a 5.0-liter, V8 engine that is capable of cranking out a maximum power output of 542.47bhp along with a maximum torque yield of 625Nm at 2500 rpm. The engine on the Jaguar XFR makes use of 8 cylinders and 4 valves per cylinder . The Gross Vehicle Mass (GVM) of the Jaguar XFR is 2370kg; and the overall length of the saloon is 4961mm, while the height is 1640mm and the width measures 1920mm with mirrors incorporated into the measurement. The front track of the Jaguar XFR is 1559mm and the rear track measures 1571mm. The Jaguar XFR provides a boot volume with Jaguar tyre repair system of 540 liters, while the boot volume with space saver is 500 liters. The XF gives out a mileage of 5.7 kmpl in the city which goes up to 12.0 kmpl out on the highways. The XF R Supercharged arrives with Jaguar's adaptive dynamic suspension as standard equipment. Road conditions and driving inputs are constantly electronically measured to allow for damping adjustments to be carried out within milliseconds. Braking is tasked to twin-piston sliding calipers in the front and single-piston sliding calipers at the rear. Large ventilated iron rotors absorb heat, and one is located within each of the supercharged model's standard 20-inch alloy wheels. Tire size is 255/35ZR20 . Jaguar XF is fitted with 18-inch alloy tubeless wheels with 10 spokes in them . These tires have high durability as well as traction control. The characteristic features present in Jaguar XF R comprise of an engine immobiliser, air conditioning system with heater and AC vents for the rear seats, security alarm system , high class fabric upholstery, and seat height adjuster, music system with USB support, keyless entry, all power windows, back door handle and central locking system, power steering, automatic climate control, cruise control, low fuel warning light, engine start and stop button, etc. Music freaks will enjoy the very best experience with the updated and advanced music system present in jaguar XF R. The base XF comes with a sunroof, rear parking sensors, dual-zone climate control, leather, Bluetooth , navigation and a nine-speaker stereo with iPod connectivity and satellite radio. The Premium trim adds features like heated and ventilated front seats and an upgraded interior trim. Complete safety is provided with some of the advanced high tech features and functions which include the protective body shell, the two stage airbags for the driver and passengers, side and curtain airbags. Other notable features and functions are the Pedestrian Contact Sensing System and the Tyre Pressure Monitoring system. Security is realised via the auto door locks, which are controlled by remote , the engine immobiliser and alarm all of which comes as standard on the Jaguar XFR. Top of the range technology includes a telephone system from the Bluetooth. The modern navigation system which is controlled through the touch screen and is able to give direction either from the screen or the instrument panel’s message centre. A very unique look for the exterior is achieved via chrome outboard air intakes and black finished mesh of the large lower grille with the aggressive shoulders, across-the-board roof, high-arched waist, low nose and louvers of the bonnet giving the vehicle a very dynamic look. Not as quick as main rivals, steering may be too light for some enthusiasts.